Volume 4, Edition 14 Trouble loading? View this email online. 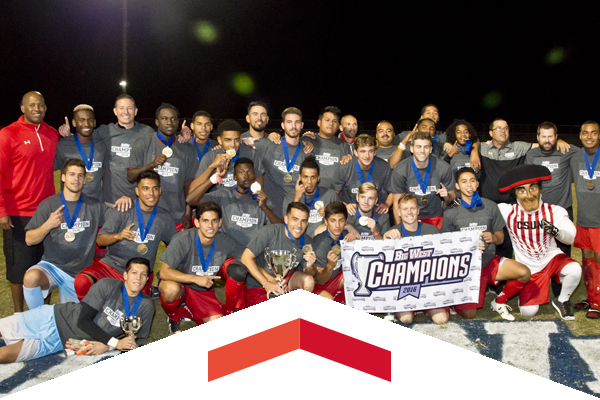 CSUN Works Double Overtime in Taking Big West Men’s Soccer Title. Next Up: NCAA Tournament! With less than a minute left in the final overtime and facing a second consecutive shootout, junior Jeremy Degraffenreidt broke through and scored the game-winning goal to snag the Big West Men’s Soccer Championship for the Matadors and a berth in the NCAA Tournament, where they host University of the Pacific on Nov. 17 at 7 p.m. at Matador Soccer Field. 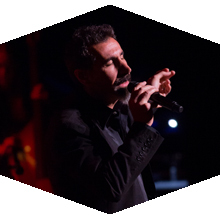 It was a homecoming for System of a Down lead singer and CSUN alumnus Serj Tankian in a pair of sold-out performances that featured the CSUN Symphony at the Valley Performing Arts Center. 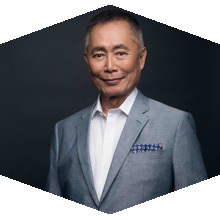 Star Trek legend, activist and social media star George Takei will give the CSUN community a behind-the-scenes look at his life inside an American internment camp during World War II and his double life as a gay man in Hollywood. Thur, Nov. 17, 8 p.m.
Grammy Award-winning musician and Hamilton star Leslie Odom Jr. will make his Los Angeles debut performing jazz standards from his self-titled album. This free four-day event will feature films highlighting some of Latin America’s most talented filmmakers. Friday’s film will be the Brazilian movie The Violin Teacher. Sat, Nov. 19, 8 p.m.
Basketball season is here! The Matadors look to have a strong team this season and will take on the Northern Illinois Huskies in the Matadome. The Young Turks on Fusion broadcast their post-election live wrap-up show from the Little Theatre at CSUN on Nov. 9. One of the co-hosts was alumna and longtime CSUN champion Ana Kasparian, who along with John Iadarola, were joined on the theatre stage by Fusion host Nando Villa and producer and former Daily Show contributor and commentator Brian Unger — as well as San Fernando Valley native Brett Erlich. CSUN scholars, students and other leaders hosted more than 100 Los Angeles-area high school students for a half-day conference that examined racism, scientific research, artistic expressions on race and how to increase diversity in the sciences. The CSUN Veterans Resource Center hosted the Joining Forces: Veteran Ally Workshop to inform the CSUN community about the various military branches and the challenges student veterans face when adjusting to college life. A grant from the U.S. Department of Education will create pathways for Latino transfer students at CSUN to careers in high-demand fields. Join us for a discussion about making a meal plan, using shopping lists, navigating the store and using coupons to save money. This session also includes a cooking demonstration to make healthy breakfasts whether at home or on the go. Hosted by CSUN’s Institute for Community Health & Wellbeing, Walkability Wednesdays take place from noon to 12:45 every Wednesday and feature guest speakers and walk leaders. This week, join Charlotte Kerber of the Institute, for a walk through campus and a discussion about learning how to control blood sugar levels by walking. Schedule a one-on-one with Christel Whittier, dedicated retirement planner, to discuss your retirement plans, or stop in at a “help desk” with your questions between Noon and 12:45 p.m. each day.